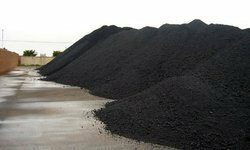 We supply all kind of ores such as Nickle ore. We are also able to meet bulk demands as per the requirements of our clients. We are identified as the most foremost nickel ore manufacturer and supplier, based in india. The lateritic nickel ore offered by us is natural that is reflected from the color i. E. Silvery-white with a slight golden tinge. Moreover, nickel ore mineral offered by us is extensively rich in the respective content of the nickel metal that is highly resistant to corrosion. 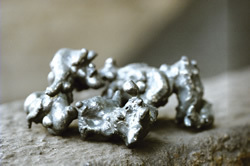 We offer natural Nickel Ore that has rich nickel metal ensuring its high performance. The color of this Nickel Ore is silvery-white with a slight golden tinge and is free from impurities. We are positioned at the apex for Manufacturing and Exporting prime quality Nickel Ore.
We ensure quality at each step of manufacturing and offer our clients a best range of Nickel Ore (Mineral & Refractories). These are offering on market leading prices. also we offer this products as per client specifications. We can supply nickel ore 8% minimum and nickel concentrates 35 % minimum.